Pockets! They’re the rallying cry by women everywhere. An equality issue if there ever was one. For decades now, men’s clothing sported useful, spacious and functional pockets, enabling them to carry all their stuff with them, while we women have had to make do with handbags and purses because our clothes lacked this feature or had tiny, unusable excuses for pockets. Or, worst of all, had the ultimate insult: faux-pockets, which I’m convinced are decorative travesties meant to rub our noses in our pocket-deprivation. There’s a fascinating history on how women’s clothing came to lack pockets. A lot of it is sexism-related (surprise, surprise). Some of it has to do with weird fashion norms (which are also fairly sexist, if you think about it). 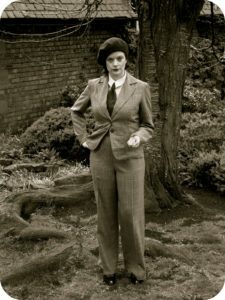 Pockets were de rigueur for a while in the 1930s. But then they fell out of fashion as beauty norms began to emphasize skinny over powerful. And here we are. Marlene Dietrich popularized the androgynous look for women during Hollywood’s Golden Age. In the past few years, there’s been a movement to right this obvious wrong. 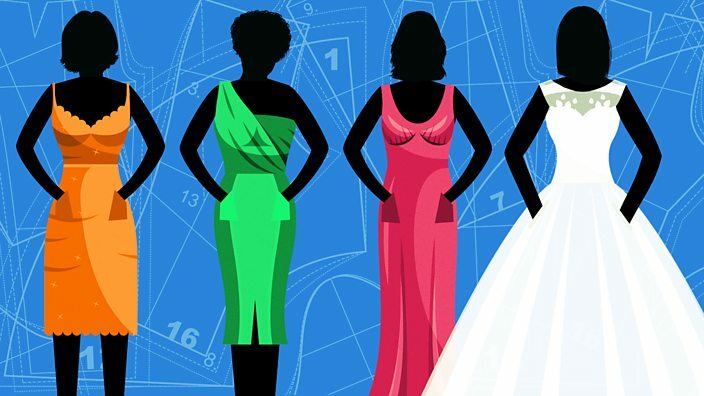 A clamouring for pockets has cropped up seemingly everywhere, from blogs to studies to news sites, and in every fashion element from pants to dresses to bridal wear. Let’s face it, ladies: Pockets are the new black. They’re hot. It’s trendy for women to demand them, and it’s trendy for designers to add them. And maybe it’s about time. I have a confession to make, though: I don’t love big pockets in my clothes. Why? Because most pockets are at the hip area of a shirt, dress or jacket. And, as a short, hippy woman, the last thing I want to do is to add volume, bulge or attention to my hips. Short and pear-shaped? Hip pockets can be a problem. This does pose a challenge when it comes to pockets. Runway models, with their leggy, concave shapes, are often able to pull off pockets in a way that the rest of us can’t. If I added a pocket in precisely that spot, and tried to put anything at all in it — even a pack of tissues — I’d be adding bulk in precisely the wrong place. Not to mention, I’m not concave there, I’m convex. Stuff I put in my hip pockets would probably, due to geometry, have a tendency to fall out. UGG Collection for Women: Androgynous is in again, but do you have to be tall to pull it off? Furthermore, we petites all know the importance of scale when it comes to details on clothing. Big, bold pockets might work on clothes for a larger, taller frame. But shorter women need to scale back. This means that even a proportionately big pocket on our clothes might not be large enough to fit much. Oversized pockets overwhelm, rather than flatter, 5’3″ Kim Kardashian. Now, I’m not suggesting that petite women can’t wear big hip pockets. Go for it, if they’re your thing. But the visual line of an outfit matters, too. Maybe it shouldn’t. But most of us are trying to find clothes that flatter us, and — for those of us who are short and pear-shaped, the elephant in the room is that big pockets in exactly the wrong place aren’t doing us any favours. Also, it’s hard enough for me to find clothes that fit in the first place, without adding criteria. We petites are so ridiculously limited in our shopping options that it just seems silly to me to reject clothes for any reason other than fit — even lack of pockets. So is there no hope for us petite pears who desire all the functionality and practicality of pockets, just like our taller counterparts? No, I wouldn’t say that. But it may take some extra hunting. Sew pockets into the folds of A-line skirts and dresses. If you have the extra fabric in a fit-and-flare or a-line dress or skirt to mask a pocket, go for it. I’ve been able to get away with them on styles that blouse outward rather than skimming straight over my hips. Just beware of skirts with too much fabric — so much volume can overwhelm a petite frame. Opt for flap pockets instead of slash pockets. The flap design can be more flattering on a hippy petite, especially if angled correctly. (More on this below). Flap pockets also help you have more space in your pockets. Avoid diagonals. 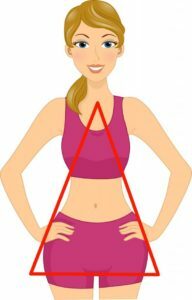 Especially around the hip area, diagonal pockets are designed to make hips look larger, not smaller. 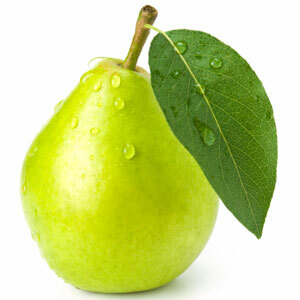 This is the opposite of the visual line that most petite pears are trying to create. A straight pocket will create a more up-and-down vertical line, which can help minimize the hip area. Coat pockets are awesome. 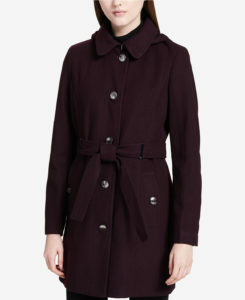 A trench coat with giant pockets is a great solution in winter. Unfortunately it doesn’t really help solve these problems when you’re indoors. Cargo pockets can also work. Obviously this is a more casual style. But adding a pocket in the leg area can provide more space than in the hip or thigh area for a hippy petite. I have a pair of cargo trekking pants that I take travelling, and the zippered leg pockets are great for stashing stuff. Ditto my ski pants, which give me extra space for items that don’t easily fit elsewhere. 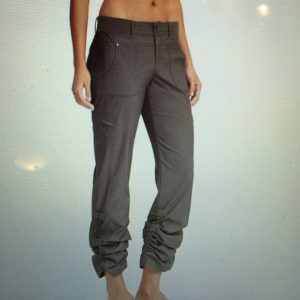 Pants with cargo pockets: A great alternative to hip pockets. Where to find petite clothes with pockets? I admit, they’re not easy to find. Shopstyle has links to some. Custom clothing sites like eShakti or Sumissura will add them to pretty much any design you choose. Other than that, it’s pretty hit-or-miss with the mainstream retailers who carry petites, like Macy’s, Nordstrom’s, Eddie Bauer, Anthropologie, or GAP. I’ve stumbled on the occasional piece with pockets, but they’re certainly not standard in anything but jeans. 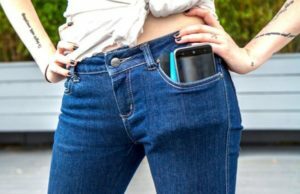 And even in denim, the pockets tend to be tiny and unusable for anything bigger than a scrap of paper, let alone a smartphone. British brands are another place to look, too. I’ve found that ASOS, Topshop, Maggy London, and similar can sometimes have useful pieces. Though don’t forget to convert those sizes. If all else fails, remember, we ladies do have purses as an alternative to pockets. If you find that you simply don’t have enough physical real estate to pull off clothes with pockets, then don’t despair. Pockets may be trendy right now, and a sign of female empowerment. But a great purse is stylish, convenient, and holds a lot more stuff than any pockets ever could. Plus, you don’t need to remember to empty it every day before doing your laundry, or to transfer your stuff from one day’s outfit to the next. Oh, and choosing the right purse can really complement a sense of style. For petite pears, a double-strapped tote handbag is a great option, since it means you can carry it over your shoulder but higher up on the body, drawing the eye upward and making use of the area of the body where we have more space available to carry stuff. Win-win. And let’s face it: Men may not want to admit it, but they’re also flocking to carrying purses — though they’ll insist on calling them messenger bags, backpacks, or carry-alls. Because, well, they lack the confidence that we have. But with more of us carrying an assortment of keys, phones, wallets, laptops, sunglasses, and other stuff everywhere we go, sometimes you just can’t beat the convenience of a bag. So maybe we’re the ones who have the advantage after all, and it’s men who should be protesting and demanding equality? Okay, maybe not. But, at risk of sounding like a traitor to the gender equality movement, I admit I’m not stressing about my pocket deficiency too much. A purse actually suits me just fine. What do you think, ladies? Are you pro-pockets? 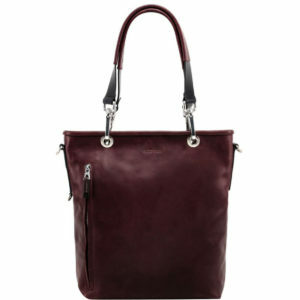 Or do you prefer your handbag? Or hey, why not both? Tell me in the comments.